TheraGun G2PRO™ uses advanced percussive frequency modulation therapy. The massage tool goes to work on persistent muscle & joint pain – bringing long lasting comfort and much needed relief, so you can get back into your life – and get out of the pain. This Neuro-muscular treatment device with 2,000-2,500 RPM calibrated by a physician with the precise frequency, amplitude, and torque to achieve the most effective percussive vibration therapy. 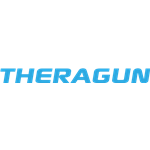 TheraGun® Percussion Therapy Products & Recovery Tools.